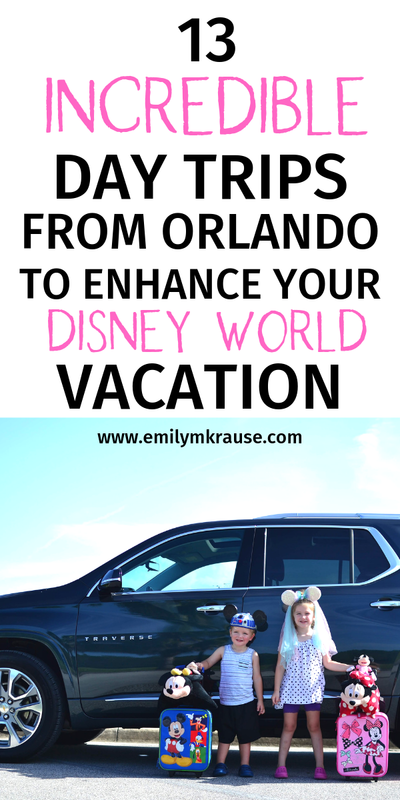 No matter how much you and your kids love Disney World, sometimes you just need a change of scenery. 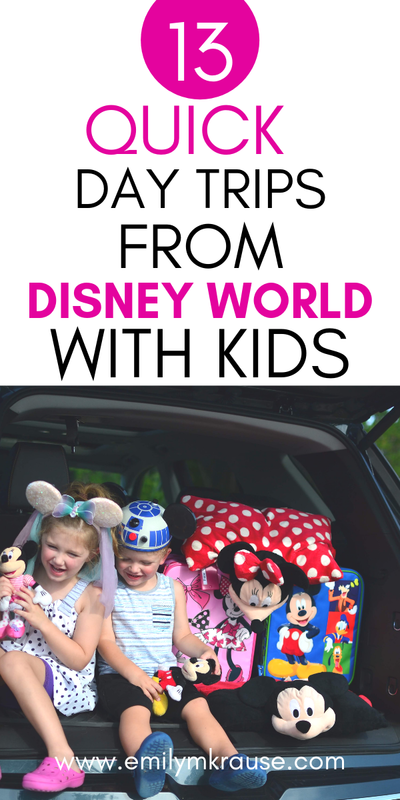 There’s no denying that it can be the happiest and most magical place on earth at times, but I personally find the crowds overwhelming after just a few hours, let alone days, and the constant overstimulation can leave our whole family feeling overtired and on-edge. 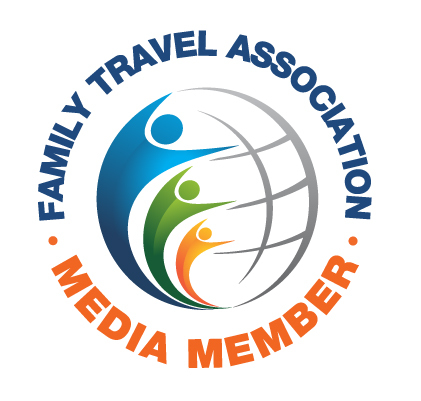 If you’re taking an extended Disney Vacation, you might want to consider scheduling in a day trip to another destination in Florida. There are spectacular beaches, laid-back beach towns, and quirky states parks all within a two-hour drive of Orlando. 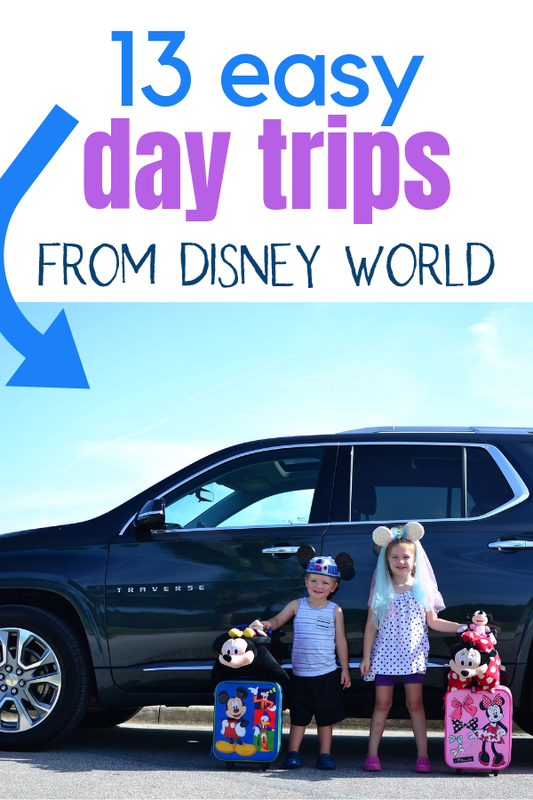 Breaking up your Disney vacation with a separate adventure to one of the many other beautiful spots in Florida can save the magic of your time at the parks. Whether you’re looking for white sand beaches, an educational experience, or manatees in the wild, there’s a spot in Florida for you. If you’re visiting Disney World during the winter months, head to Blue Spring State Park to see hundreds of manatees wintering in the warm crystal-clear spring. It’s a great way to take advantage of a slightly colder day (yes, we do get cold days in Florida), since you’re more likely to see manatees when it’s chilly out. Wander along the boardwalks that wind through the park and stop at each of the lookout points over the river to marvel at the manatees congregating below. Though the water is a balmy 72 degrees, you won’t be allowed to swim if there is wildlife congregating in the springs. If you come in summer, though, you can swim or rent inner tubes to go floating through the springs. You can also snorkel or scuba dive (if you’re certified), kayak, canoe, or stand-up paddle board, take a boat tour on the St. Johns River, or visit the Thursby House, a 150-year-old home that is now a museum. Arrive early. The park closes when it reaches capacity (which it often does!). The park opens at 8 a.m. If it’s a white sand beach you’re craving, head southwest from Disney to get to beautiful Sarasota. Not only will you find plenty of kid-friendly attractions in Sarasota itself, but you’ll also love the chance to explore the keys off the coast. Siesta Key is one of the most renowned, and it has wide white sand beaches, an adorable downtown area, and plenty of ice cream shops to keep everyone happy. You’ll feel like you’re on a tropical getaway for a day! 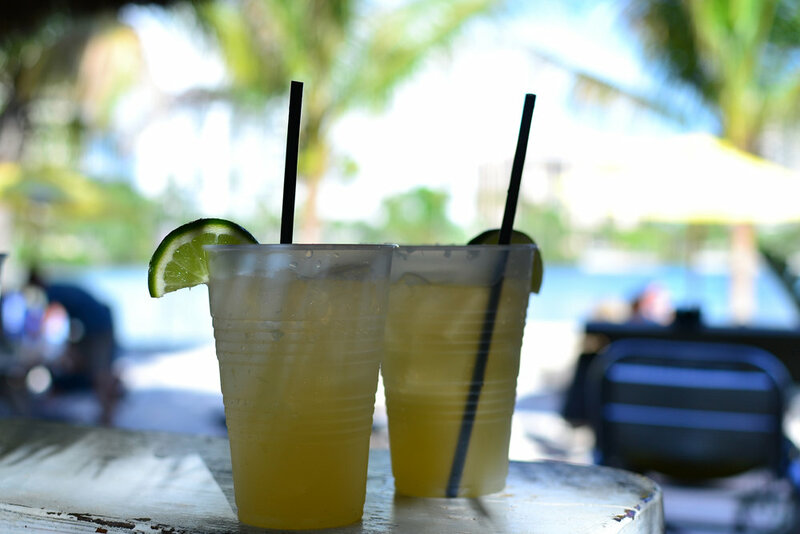 Stop by O’Leary’s Tiki Bar and Grill where you can find eat near the sand and let the kids play while you enjoy a laid-back dinner with drinks. Bring sand toys to keep them occupied! Don’t forget to swing by Mote Marine Laboratory and Aquarium, then make your way to Big Cat Habitat to see lions, tigers, and bears! Read my full blog post about what to do in Sarasota with kids here. New Smyrna Beach is one of those surf towns that exudes laid-back vibes. This is a lesser-known beach, so you’ll find more locals milling around than tourists. Like Daytona Beach to its north, you can drive on the hard-packed sand for a fee of $20/day and enjoy a picnic lunch overlooking the ocean. This is a popular spot for surfers, and my kids were fascinated watching them catch the waves. When you’re done with the beach you can wander around Flagler Avenue which is full of boutiques, candy shops, and unique restaurants. Visit the Ponce Inlet to climb the tallest lighthouse in Florida and explore Marine Science Center where you’ll find touch tanks and a turtle rehabilitation center. Just an hour’s drive southwest of Disney World is Tampa Bay, a surprisingly wonderful city to visit with kids. Our family spent a lot of time on the River Walk wandering along and enjoying the view. You can take the hop-on, hop-off Pirate Water Taxi, which my kids loved, and get off at different stops along the river like the Children’s Museum, splash pads, parks, or Armature Works food court. 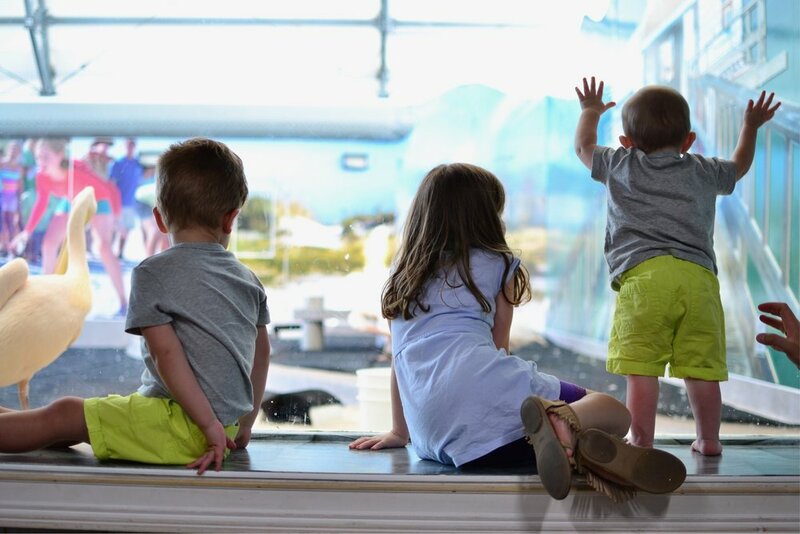 Even if you’re not a huge fan of zoos, Zoo Tampa is worth a visit with an entire section of the zoo designated for toddlers and small children with rides, petting zoos, and a splash pad. If you just can’t get enough of the theme park scene check out Busch Gardens. Little ones will love the Sesame Street Safari of Fun section of the park as well as the Serengeti Express, a train ride safari. We stayed at the Hilton St. Petersburg Carillon Park just outside of Tampa. Make sure to get the CityPass if you want to enjoy a lot of the attractions in Tampa Bay including Busch Gardens. It will save you TONS of money. 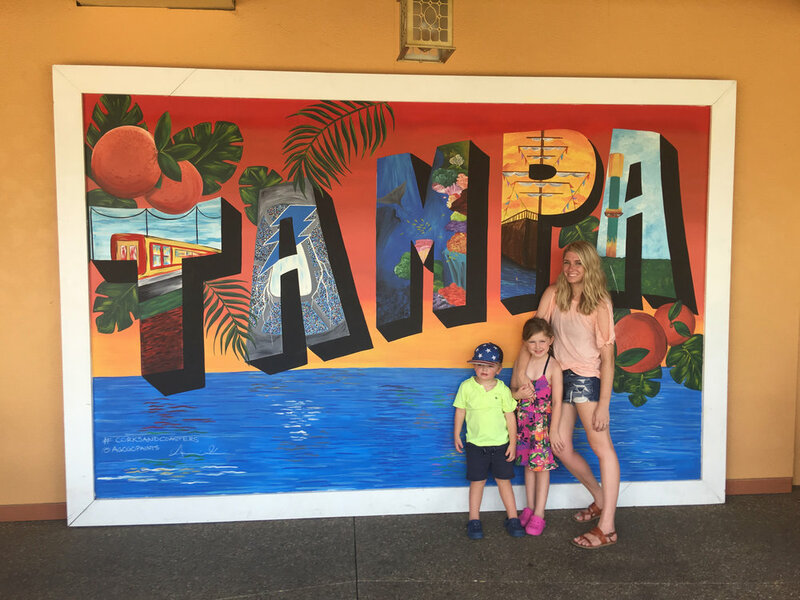 Read my full guide to Tampa Bay with kids. As a Florida resident, Kennedy Space Center has been on my bucket list since we moved here. What a cool opportunity to see so much of our country’s history with space exploration all in one place! You’ll need a full day to visit, because there is a TON to do and see there, even with small kids. 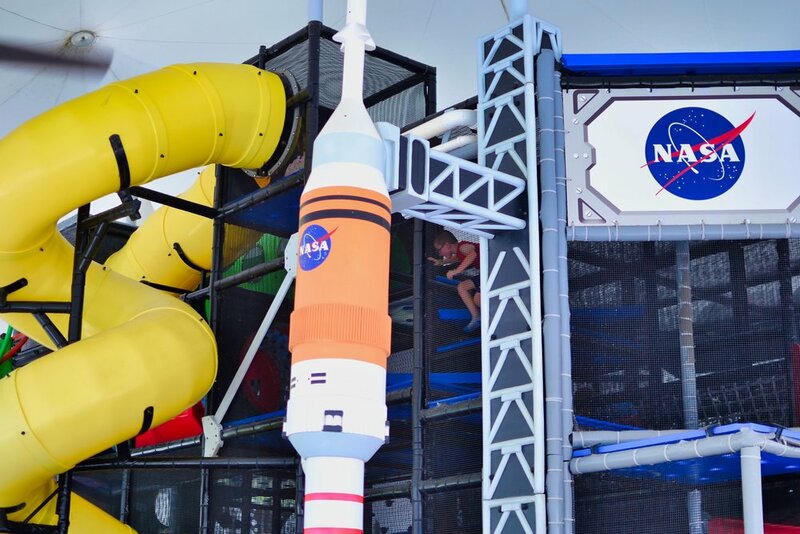 There are emotional and educational IMAX movies, a bus tour where you can go visit the Apollo/Saturn V Center, see the Space Shuttle Atlantis, train like an astronaut, have lunch with an astronaut, walk among a garden of rockets, play on playgrounds, and more. Depending on the age of your kids and interest in outer space, you might even need 2 days to see and do everything. We had a 1, 3, and 5-year-old when we visited, and found 1 day to be perfect. St. Augustine has history, culture, shopping, beaches, kid-friendly attractions, and gorgeous architecture; there’s truly something for everyone here. It’s also known as the nation’s oldest city and potentially the site of the Fountain of Youth. I feel like everyone needs to check this city off their bucket list at some point in their lives! I would highly recommend starting off with a trolley tour of St. Augustine. You can sit for the full tour and learn all about the history of the city, or use it as transportation with the hop-on, hop-off option. It stops basically everywhere! 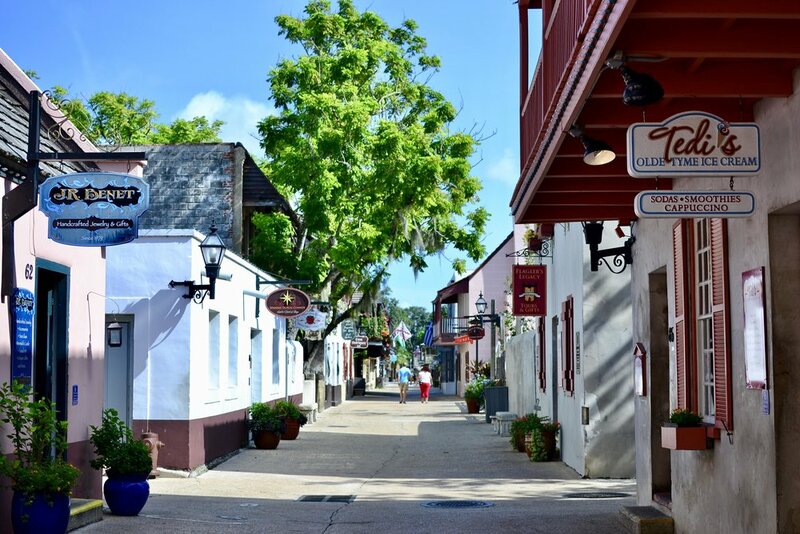 Some of my best recommendations would be Colonial Quarter, the Fountain of Youth Archaeological Park, the Castillo de San Marcos, and wandering St. George Street, a pedestrian-only stretch of shops and restaurants. Kids will also love the beach-front splash pad where they can play until they’re ready to hit the ocean or build sand castles. If you have animal lovers in your family, go check out the Alligator Farm and stay for one of the feedings. It’s fascinating! Gainesville may not be a coastal city, but it still has plenty to offer in terms of fun activities for families. One of the biggest attractions is the Florida Museum of Natural History where entrance is free for the permanent exhibits. Temporary exhibits or extra experiences like the Butterfly Rainforest cost money, but are priced quite reasonably. Gainesville is also known for access to the great outdoors with plenty of parks and trails to choose from, so get out in nature and get active with your kids. There’s no better way to take a break from Disney than to do some hiking or biking to admire creation. Head to the Gulf Coast for some sunshine and white sand beaches. Both St. Petersburg and Clearwater are located in the Tampa Bay Area and are known for their year-round beautiful weather. In St. Petersburg you can visit the Salvador Dalí Museum, explore the sunken gardens, or go to Fort De Soto Park. We loved the park for it’s wide beach, tidal pool for the kids to play in, and pirate ship playground. It’s often named one of the most family-friendly beaches in the United States! In Clearwater you can stroll the Beach Walk Promenade, enjoy the shallow water and gentle waves, and catch a sunset at Pier 60. The Clearwater Marine Aquarium is home to Winter the Dolphin from the Dolphin Tale movie. There are so many fun coastal activities to do in this area to make it the perfect Disney break. This is another under-the-radar Florida gem frequented by locals. It’s a park with a fascinating history ranging from Native American use to a sugar plantation to an Inn and Casino. Now it’s owned by the government and preserved for our enjoyment. You can swim in the spring which is a beautiful 72 degrees year-round. 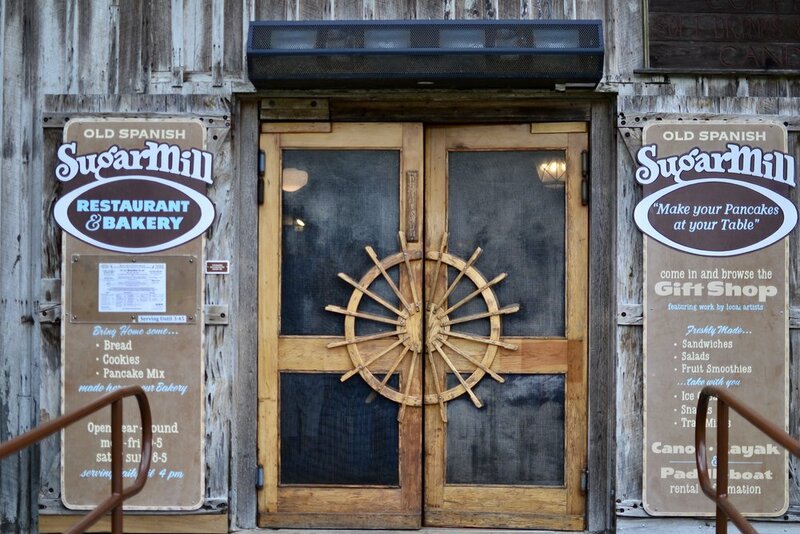 The highlight of De Leon Springs State Park is definitely the Old Spanish Sugar Mill and Griddle House, a restaurant where you get to cook your own pancakes and eat as many as you want! Each table has a griddle built into the middle of it, and once they bring you the batter and whatever toppings you ordered (chocolate chips, blueberries, peanut butter, strawberries, etc) you can have a blast creating your pancakes the way you like them. It’s $5.25 per person, plus extra for toppings. When we arrived at the park we put our names on the waiting list right away, then wandered around, played on the playground with the kids, and stopped in the visitor’s center. There’s almost always a long wait since the restaurant itself is very small with limited seating. If you know that going into it, however, you can put your name in and forget about it until they call your name over the loudspeaker. If your family is dying for a beach day, but you really need to escape the tourist crowds, I’ve got the perfect spot for you: Flagler Beach. This tiny beach town is quiet, tranquil, and quirky. There are miles of unspoiled beach with free parking on the side of A1A. Once you get a few blocks away from the Pier, you’ll likely find very few people sharing the beach with you. The sand is cinnamon-colored and made from coquina rock. It’s still soft, but it sticks to your skin like crazy. Despite that, it looks incredible when contrasted against the blue waves lapping the shore. There are good surfing waves at Flagler Beach, so you can take surf lessons with your family, rent stand-up paddle boards or boogie boards, and just enjoy the ocean. Fish off the pier (it’s very affordable and you can get your one day fishing license at the minuscule shop on the pier). Explore the shops and restaurants in Flagler Beach when you want a break from the water. Our favorite spots are the Golden Lion and Sally’s Ice Cream. Do you have any LEGO lovers in your family? Then LEGOLAND Florida is a must-visit during your time here. This theme park is made just for kids, and there is so much to discover and explore there. Miniature cities in great detail made exclusively from LEGOs, a new virtual reality roller coaster (it was so cool! ), a water park, Duplo Valley just for toddlers, and even a Botanical Garden in the middle of the park make LEGOLAND, Florida a unique experience. Surfs up, dude! Head to Cocoa Beach for surf-inspired fun and possible manatee sightings depending on the time of year you visit. 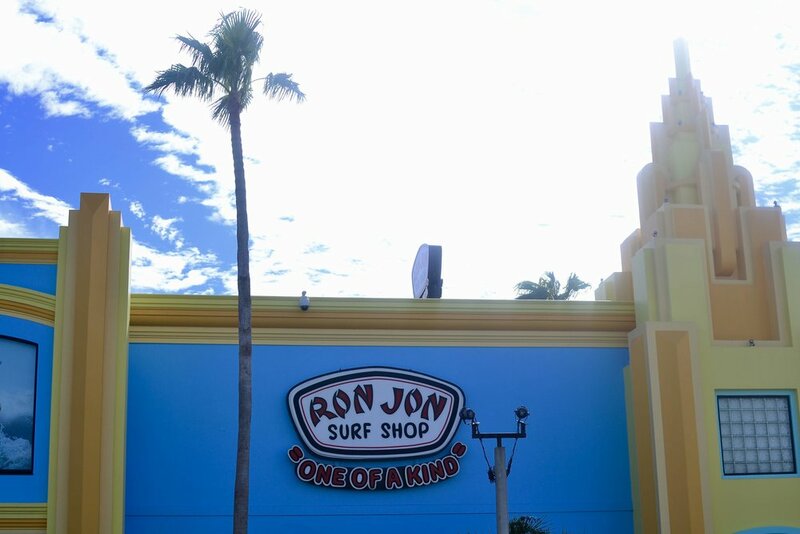 Visit Ron Jon Surf Shop’s flagship store is located in Cocoa Beach, so take your time browsing through two floors of beach gear, home decor, apparel, and souvenirs. Grab a Key Lime Pie across the parking lot at the Florida Key Lime Pie Company, then head to the beach to enjoy the sun and surf. 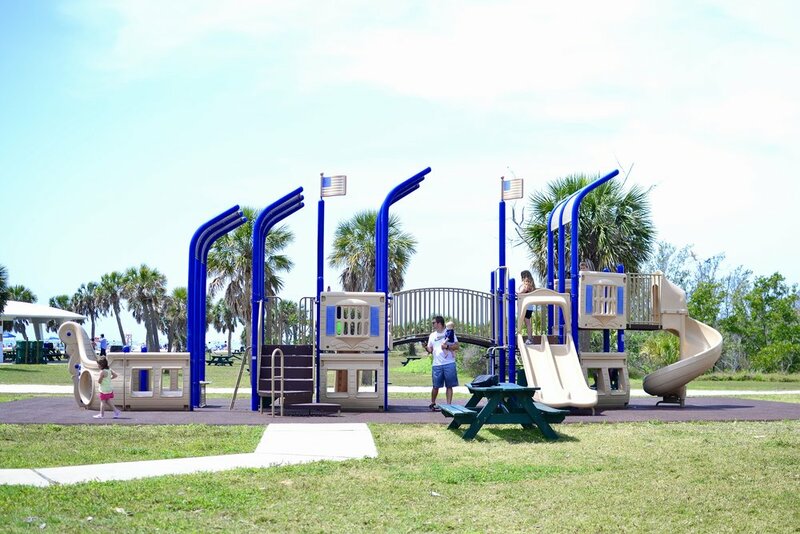 The Pier is one of the more popular spots to hang out, but Lori Wilson Park is one of the best beaches for families. 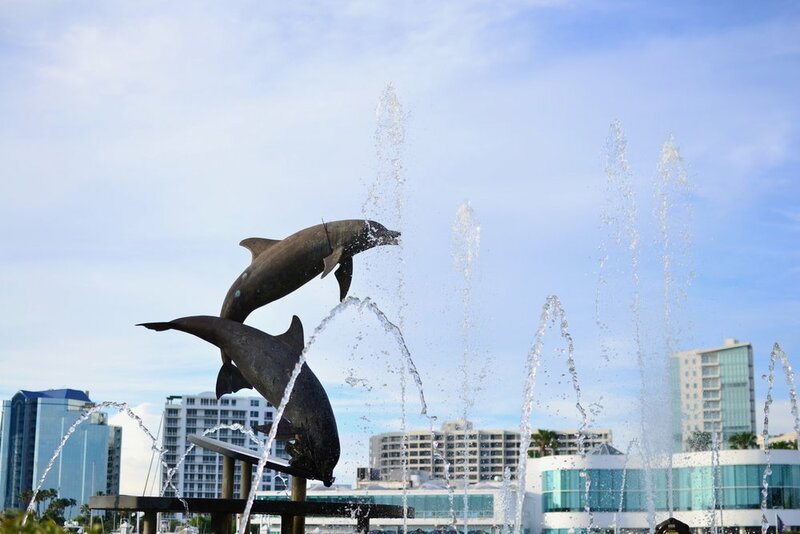 Drive to Manatee Sanctuary Park in Cape Canaveral a few minutes away for lovely views and a chance to spot manatees during the winter months. You can also go mini golfing or check out the Museum of Dinosaurs. Don’t forget about Daytona Beach, the world’s most famous beach! If you can avoid the college spring breakers, Daytona Beach actually has a ton to do for families. 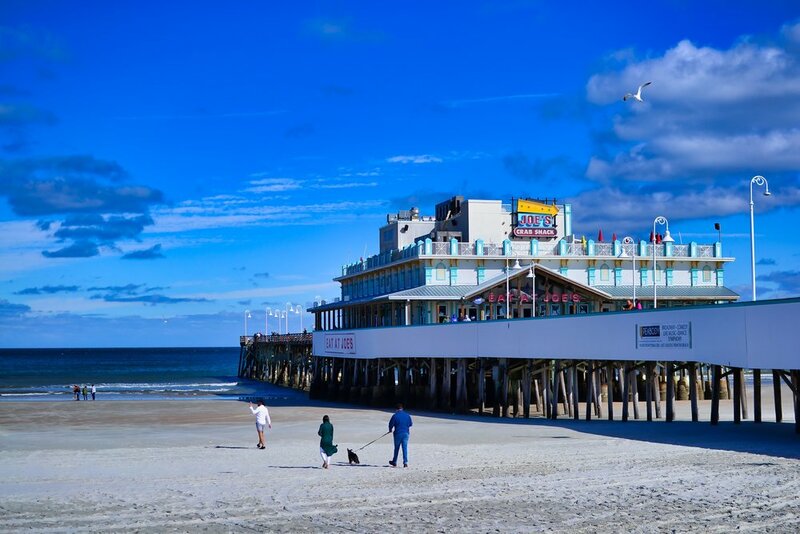 Of course the boardwalk and pier are the most famous attraction with carnival games, rides, a bandshell where free concerts are held in summer, and tons of restaurants and candy shops. 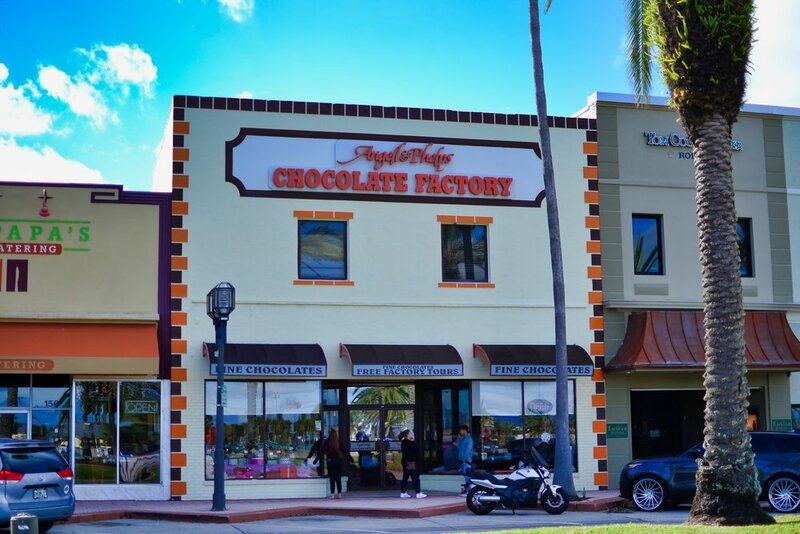 You can also try the Riverfront Shops on Beach Street for a tour of Angell & Phelps Chocolate Factory, a coffee shop, and some adorable boutiques. Across the Halifax River you’ll find Jackie Robinson Ballpark where the Daytona Tortugas play, which would make a very enjoyable family activity. There’s also a children’s museum in Daytona Beach (Charles & Linda Williams Children’s Museum at the Museum of Arts and Sciences), and, of course, Daytona Speedway is a must-visit for race car fans. Grab your free packing list print outs!